The foundation of our boot lineup, the A.T.A.C.® 8 Boot family has been designed to provide comfort right out of the box. No break-in required, and we know you’ll like that. The A.T.A.C. 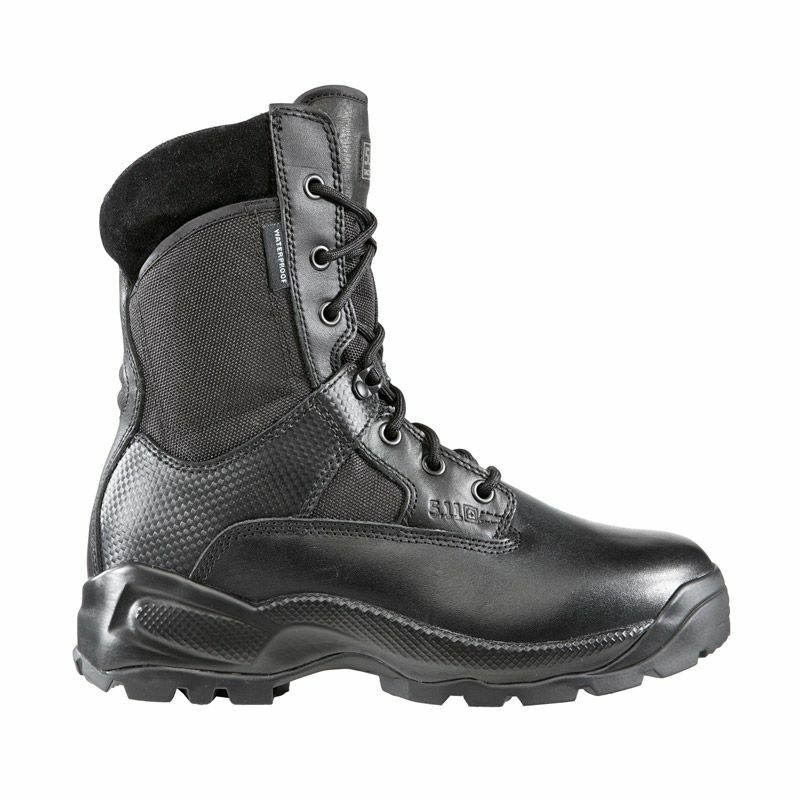 8 boots feature a hidden pocket on the upper plus polishable full-grain leather. Imported. 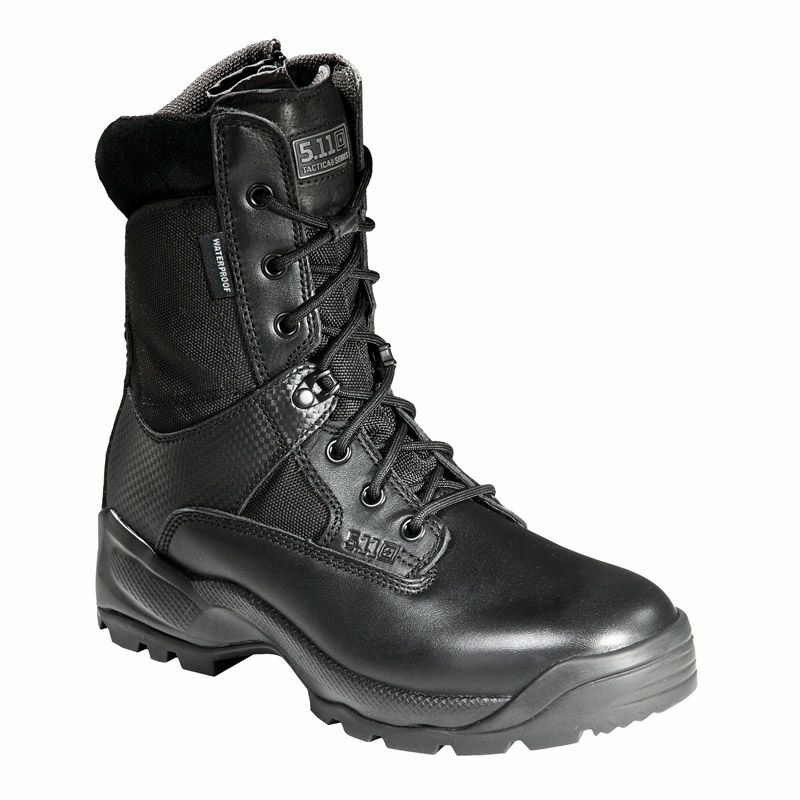 The ATAC Storm is a hard-working, hard charging tactical boot that provides optimal speed, agility, and tactical functionality across a broad range of operational environments. 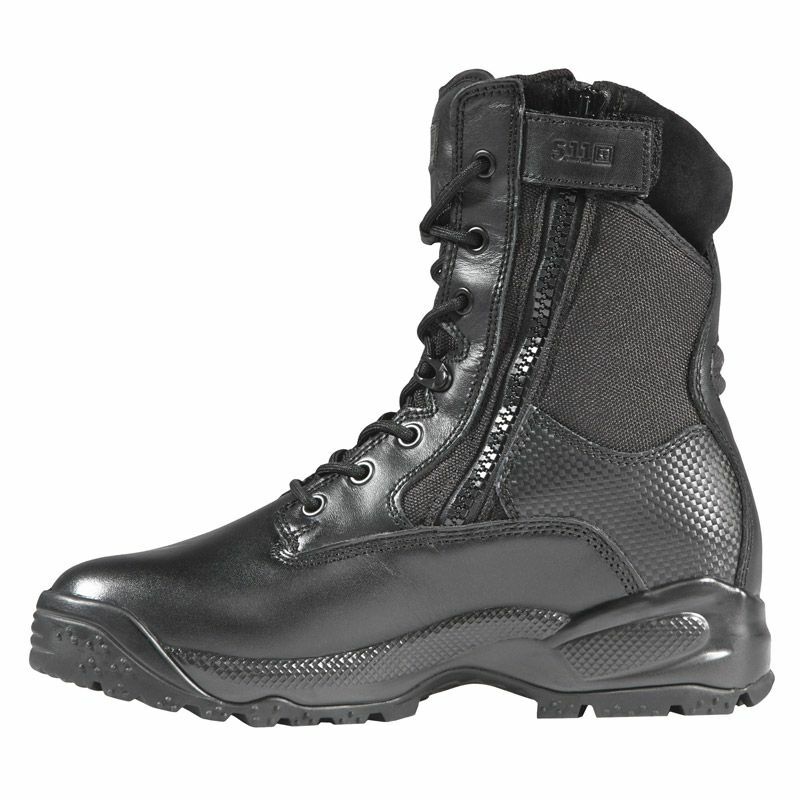 Built to satisfy the needs of military, law enforcement, and special tactics teams throughout the world, the 5.11 ATAC Storm is crafted from durable, breathable nylon and full grain high-shine leather for a clean, professional appearance. Integrated side zip entry allows quick on and off, while a moisture wicking anti-bacterial lining, integrated mesh vents, and generous open cell foam cushioning provide breathable comfort in any climate. A hidden pocket at the ankle adds tactical utility, an oil-resistant no-squeak sole provides stealth and traction, and semi-rigid heel and toe reinforcements offer added protection and a stable stance. A waterproof design offers protection against blood borne pathogens, and our trademark 5.11 Shock Mitigation System® maximizes compression and rebound, enhancing stamina, speed, and momentum control.